Do you live in the Southeast? If so you’ve probably shopped at Publix! I think it’s a great grocery store. There are no cards that I have to scan to get my deals…so nice! This week’s deal starts today and ends March 30th. It’s called Running Out? Run In. 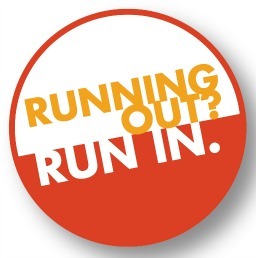 Are you running out of products your family needs, then you can run in to Publix for some great savings from brands General Mills and Procter & Gamble. Items like Cheerios, Totinos Pizza, Charmin and Crest. The best part is when you buy $25 of participating items during this event, you can mail in to receive a $5 Publix gift card to use on your next shopping trip! 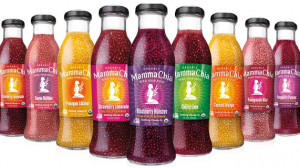 For more details on this rebate and to find the exact products participating, please visit www.RunningOutRunIn.com. 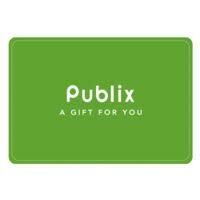 WIN a $25 GC to Publix! I received a gc for my post and all opinions are my own. This giveaway will end on March 28, 2012 at midnight EST. Winners will be drawn via rafflecopter. Once a winner is drawn I will contact them and they will have 48 hours to reply before I draw a new winner. Giveaway is open to anyone in the US and you must be 18 years of age or older. Giveaway not affiliated with Facebook & I release them of liability. Winner will be posted in the rafflecopter widget. Of course I love deals :). We love the frozen yogurts at Publix and also the deli foods like the soup. I love shopping at Publix! I love their BOGO deals! I am a fanatic over deals...it's such a good feeling to snag one. We have a store by us that gives a $5 off of $25 coupon good for Saturday when you buy anything during the week. Yes I love deals! And I love Publix!! Love the BOGO's at publix. My Husband thinks I am crazy lol! He just maybe right! I love deals. We have to make ever solar count. thanks for offering! glad i found you!! I love deals, freebies, buy 1 get 1 frees, saves money & builds my stockpile. I just went to Publix this morning and saved big! Thanks for hosting this great giveaway—we love Publix! I love groceries shopping at Publix. There is one within walking distance from my home. Thanks for the chance to win. Yep, I love deals --- free is good too! I especially love Publix deals! Thanks! I love getting good buys! yes I do !thanks for the giveaway! I love shopping for great deals! Thanks! I shop at Publix when I'm on vacation and I love deals! Thanks for this useful giveaway! I loooove deals! Even better is when I can use coupons with a great deal! I'm always looking for a good deal! Yes I do love deals! Love great deals like this one for publix. I could really use this gc to stock up and love that there is a 5$ rebate too! Thank you for the chance to win! Thanks so much for the giveaway! I love the bogo deals! I do love shopping the deals at Publix. My favorite are the BOGO deals. Thank you so much for this giveaway! In these economic times $25 will buy fresh produce, which is ridiculously high. Yes! I love these promos thanks for the chance to win! I do love those deals! I love deals like this. Publix is my favorite supermarket. Publix is my fave! My town doesn't have one, so once a month I drive 40 minutes to the next town over just to go! We love the BOGOs at Publix! love deals at Publix lets keep it coming! Nice giveaway, always a help to the budget to win a gift card!! Yes, I love good deals! I love Publix and I love deals! I can find a lot more Vegan foods at Publix! Thanks for the giveaway!